Legendary guitarist Eric Clapton on his new documentary, Strictly dancers Anton and Erin on a new live show, and Dr Ellie Cannon has a new book and advice for job-related illness. Steve and the team chat to legendary guitarist Eric Clapton about his new documentary 'Eric Clapton: Life in 12 Bars', 'Strictly' dancers Anton & Erin have a new live show called 'Broadway to Hollywood' and Dr Ellie Cannon has advice for job related illness in her new book 'Is Your Job Making You Ill?'. Plus there's Factoids, Non-Stop Oldies and the latest entertainment and lifestyle news. 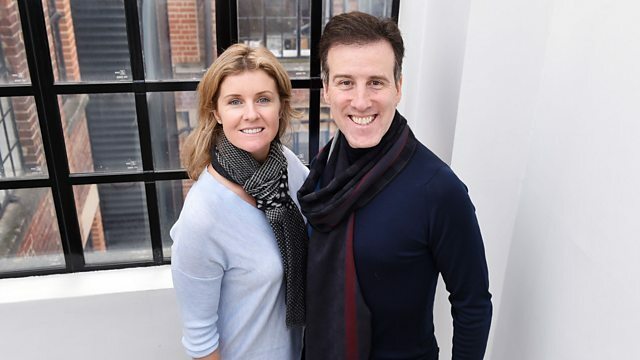 Dr Ellie Cannon: "12 million working days a year are lost due to work-related stress"
Anton Du Beke: "I get a lot of marriage requests"
Into The Eighties - Various Artists. The Smiths - The Very Best Of. The Greatest Hits Of 1966. King & Clapton - Riding With The King. Eric Clapton - 461 Ocean Boulevard. The Greatest Hits Of 1967 (Various). Lost On The Road To Eternity. Republic / Def Jam / Polydor / Virgin EMI.